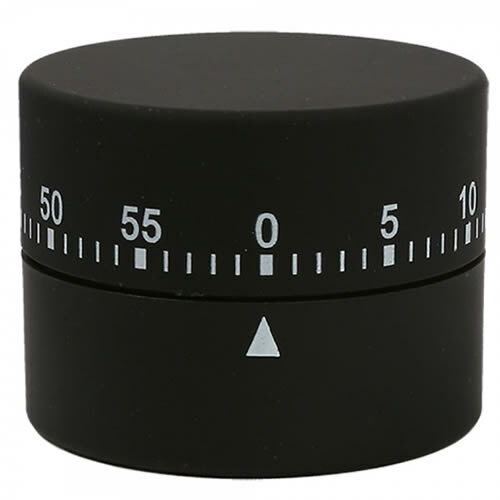 Black, rubberised timer from Hair Tools. The Hair Tools 60 Minute Timer has a simple twist-top design with minute breaks clearly marked, allowing you to measure treatments with ease. As the name suggests, the timer will run for up to 60 minutes. Comes in a smart, black rubberised finish.